ACADEMICS LOST THEIR JOBS SINCE JULY 15, 2016. 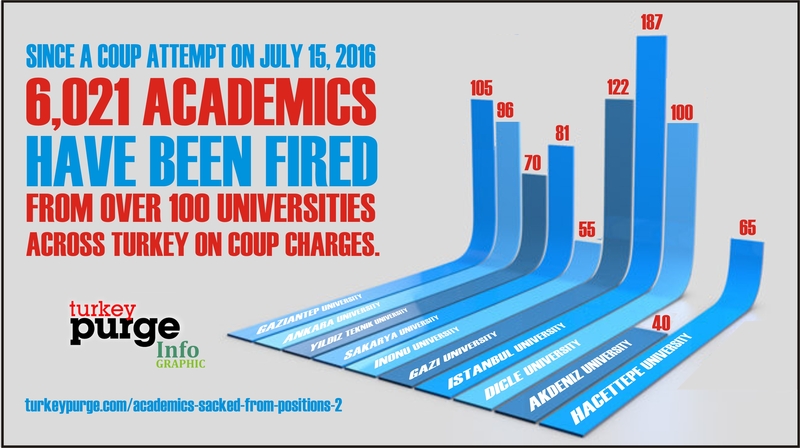 Since July 15, 2016 coup attempt, a total of 6021 academics were dismissed by gov’t decrees No. 672/673/674 issued on Sept. 1, 2016, No.675/676 issued on Oct. 29, 2016, No. 677/678 issued on Nov. 22, 2016, No.679/680/681 issued on Jan. 6, 2017, No.686/687 issued on Feb. 7, 2017, No.689 issued on April 29, No.692 issued on July 14, 2017, No.693/694 issued on August 25, 2017. Also, immediately after the failed putsch, the Turkish government passed a decree ordering the closure of 15 universities and 800 student dorms across Turkey. 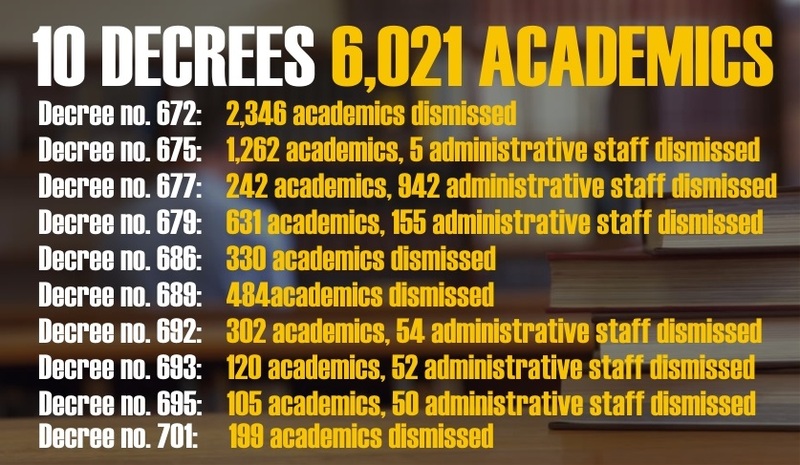 The shutting down of the universities has left 61,382 students in academic limbo.